The Bay Area Air Quality Management District Sunday announced that Monday would be its first "Spare the Air" day for 2014, as hot weather and auto exhaust is expected to bring unhealthy levels of ozone pollution, a spokesman said. With the high temperatures, low winds and car exhaust that creates ozone once it reacts with sunlight, Monday will be a bad air day, according to district spokesman Aaron Richardson. "It looks like we might have several more in a row," Richardson added. People exercising outdoors should do so in the early morning when the projected level of ozone, also known as smog, in the air is at its lowest and least harmful to breathe, Richardson said. Some of the people who are tracking the heat are some of the best cyclists in the world. 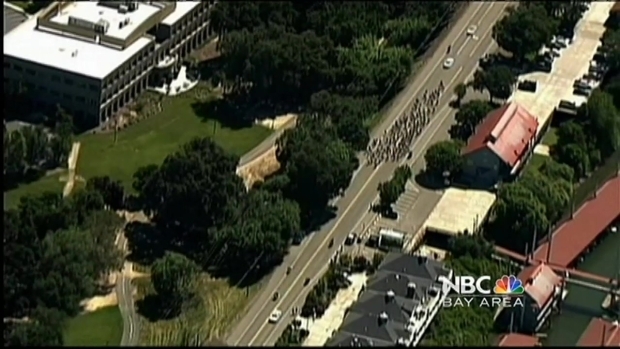 NBC Bay Area's Kimberly Tere reports from San Jose with more on the heat and its effect on the AMGEN tour, as it is expected to come through the South Bay Tuesday. Ozone may cause some people to suffer physical problems from throat irritation to congestion, chest pain and asthma, and worsen bronchitis and emphysema, district officials said. Richardson said historically, it is unusual for the year's first Spare the Air day to be this early before June, although the first alerts for 2012 and 2013 came in early May as well. But the Bay Area's air has been getting cleaner over the last 20 years, Richardson said. There were only six "Spare" days last year, 10 in 2012, eight in 2011, 10 in 2010 and 14 in 2009, compared to a high of 23 in 1998, he said. 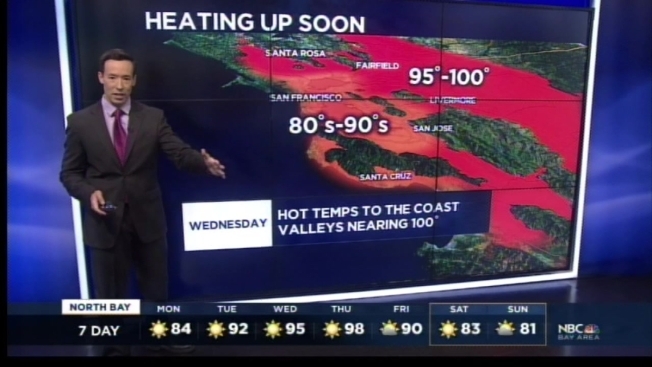 Heat in South Bay Could Play Role in AMGEN Tour Tues.
"Since (1998), we've had under 15 a year," Richardson said. Among the reasons for the decline of dirty air days is that cars - the major contributor of ozone from tail pipe emissions - are driving cleaner. Older automobile engines that pollute the most are being phased out, he said. The district is encouraging motorists to drive less and explore alternatives such as carpooling and public transit to reduce smog. According to U.S. Census figures, about 37 percent of employees in the Bay Area drive by themselves to work, Richardson said. Exposure to ozone in the air for long periods can affect lung function in young children and seniors. Those with respiratory and heart conditions are particularly vulnerable, the district said.